The recent trend of airline industry consolidation in the U.S. has led to a smaller group of airlines serving US domestic routes. Today there are just three major legacy carriers (four if one includes Southwest in that group) and a handful of large airlines with strongholds in certain regions of the country like JetBlue in the northeast and Alaska Airlines on the west coast. This is a far different landscape than that of less than a decade ago when there were twice as many major legacy airlines and several other competitors, mainly low-fare airlines. 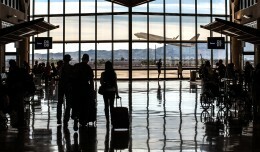 While the effects of this consolidation on airfares and overall competition have yet to be fully manifested, it is evident that there is far less variety of airlines at many U.S. airports. This hasn’t been the case over the last 35 years, as the Airline Deregulation Act of 1978 opened the doors to a wave of new entrant airlines and cutthroat competition in the industry. Deregulation relaxed the barriers of entry for startup entities and gave airlines the freedom to choose which domestic routes they wanted to serve without government intervention. This led to dozens of startup airlines over the next three decades, the vast majority of which are no longer with us, having either gone into bankruptcy or been absorbed by another airline. Over the next few weeks we’ll take a look back at some of the more notable airlines of this era. Today we focus on the “plucky upstarts”: airlines that started small but found a large measure of success. Some of these companies have either disappeared or are on their way out. One has become a leader in the Low Cost Carrier (LCC) business model and, in a roundabout way, one went from being “America Worst Airlines” to the world’s largest airline. In 1981 Donald Burr’s PEOPLExpress was the definition of an underdog: A brand new airline flying second hand 737-100’s from the abandoned North Terminal Building at Newark (EWR) while charging dirt cheap fares and offering few to none of the amenities typically encountered in air travel at the time. PEOPLE’s business model was fairly innovative, and has since been mimicked by other low-cost (and in some cases legacy carriers) since: Fill an aircraft with seats in an all-economy layout and fly underserved routes with high potential demand charging a very low fare. Keep fixed costs, such as labor, low and create new revenue streams by charging for checked bags and inflight meals. The airline’s first route, between Newark and Buffalo, was a perfect example of the strategy: All seats were sold at $35, low enough to compete with the cost of driving the 400 miles between both cities, and given the airlines low cost structure a full flight would yield a 100% profit margin. To keep costs low, PEOPLExpress kept employees to a minimum by cross-utilizing, that is training employees to perform various functions. PEOPLE had the added benefit of having a non-labor workforce that was paid at a lower rate than industry standard in exchange for stock options, the theory being that employees would work harder for a company they were directly invested in. PEOPLExpress began operations with ex-Lufthansa 737-100’s. PEOPLE started out small, operating from EWR to Buffalo, Columbus and Norfolk. Word of the airline’s insanely cheap fares quickly spread and PEOPLExpress began to expand at an unprecedented rate. Within 3 years, PEOPLE had skyrocketed from 400 million Revenue Passenger Miles (RPMs) to 7,600 million, added nearly 70 aircraft to the fleet and expanded their route network to include transcontinental service and 747 flights to London and Brussels. PEOPLExpress’ profitability and innovative business model made it the darling of deregulation, but the unchecked growth soon began to cause problems. The airline had severely outgrown its terminal at Newark, and that coupled with the airport’s operational limits lead to reliability issues. PEOPLE had also begun adding service to their competitors hub cities, with the legacy carriers responding to the challenge by adding flights on PEOPLE’s routes and charging the same low fares. The major legacy carriers had also begun employing revenue management strategies that allowed them to more effectively compete with PEOPLExpress on price. The second-hand 747’s they had purchased, which were crammed with 450 seats, were profitable on trans-Atlantic routes but were big-time money drains on transcontinental routes. Staffing levels, kept to a minimum to cut down on costs, were struggling to keep up with the airline’s growing schedule of flights. In 1985 the airline, which had begun to accumulate an ever-increasing debt-load to finance its explosive growth, acquired Denver-based Frontier Airlines. The acquisition turned out to be ill-advised, as PEOPLE was unable to successfully integrate Frontier’s union workforce into their own. Also converting Frontier’s service offering to a “no-frills” model alienated that airline’s customer base. In the end, the same market conditions that led PEOPLExpress to thrive ended up leading to its demise. In 1987 the airline, along with Frontier, was sold to Frank Lorenzo’s Texas Air Corporation. The assets of both airlines were eventually rolled into Continental Airlines. Despite its ultimate failure, however, PEOPLExpress served as a model for other start-up airlines as well as a cautionary tale of how explosive growth is not always a good thing. Midway was founded in 1976 but did not begin operations until 1979, making it the first post-deregulation airline. The airline based its operation at the namesake Chicago Midway Airport (MDW), which prior to the jet age had been the world’s busiest airport. However by the late-’70’s virtually all airline service had shifted to O’Hare International (ORD) leaving MDW a ghost town. Midway the airline sought to revitalize the South Side airport, touting its close proximity to downtown Chicago and initially offering low-fare service to Detroit, Cleveland (Lakefront) and Kansas City with a fleet of three DC-9-14’s. The service proved to be a success and soon Midway was acquiring more DC-9’s and adding service to LaGuardia, St. Louis and Washington National. 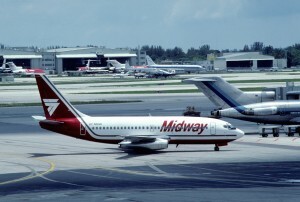 A Midway 737-200 in Miami. Midway found a successful niche at MDW and growth continued throughout the ’80’s. In the beginning of the decade, the airline made the decision to create specific brands aimed at both business and leisure passengers. In 1983 Midway introduced “Midway Metrolink”, converting a portion of their DC-9 fleet to a 2×2 seating configuration for flights from MDW to LaGuardia (LGA), Washington National (DCA) and a few other business travel destinations. In 1984 the airline acquired the assets of bankrupt Air Florida and created “Midway Express”, to fly on some of Air Florida’s destinations using 737’s picked up from the bankrupt airline. Both of these ventures were short-lived, and both “airlines” were folded back into the main Midway Airlines brand. 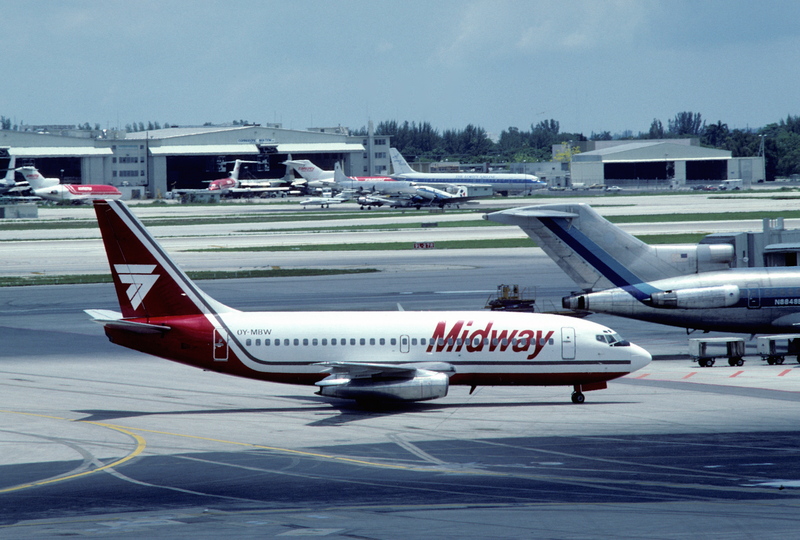 At its peak Midway served 40 destinations across the US, Canada and the Caribbean with a fleet of DC-9’s, MD-80’s and 737-200’s, and introduced a regional partner in Midway Connection to provide feeder services to the MDW hub. In 1989 the airline opened a second hub in Philadelphia after purchasing gates and a few DC-9’s from Eastern. Midway encountered stiff competition from US Air in Philly and the hub was closed the following year. A fuel price spike caused by the 1990 Gulf War as well as the subsequent recession drove Midway into serious financial trouble and led to a Chapter 11 bankruptcy filing in March 1991. After an attempt to sell the airline to Northwest in November of that year failed, Midway ceased operations. With a little over a decade of operation, Midway was one of the longer lasting airlines from the first wave of post-deregulation startups. 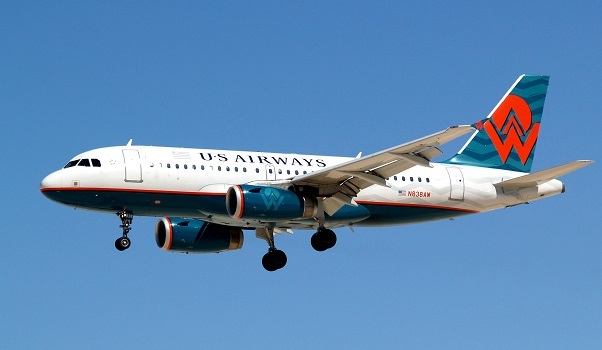 Midway’s legacy will be that it fully revitalized MDW as the airport saw additional service from a variety of airlines over the course of the ’80’s and ’90’s returning it to the ranks of the busiest airports in the US. The Midway Airlines name would resurface two years later but that’s a story for another time. Like Midway Airlines before it, American Trans Air (later known as ATA) built a successful hub operation at MDW, although it came two decades after the airline first started flying. While ATA, which began life in 1973 as a charter airline, found success as a low-fare airline, its path there was far different than that of most other passenger airlines. 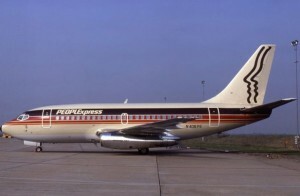 American Trans Air was established to provide flights for the Ambassadair travel club, with a single Boeing 720. Over the course of the ’70’s a second 720 was added, as well as several 707’s and eventually DC-10’s in the early 1980’s. ATA received its Part 121 certificate from the FAA in 1981 and began charter services from its base in Indianapolis. The 707’s were replaced with 727’s and the airline added Lockheed L-1011 widebodies and later 757’s. In 1990 ATA provided troop transport flights for the US military’s Gulf War efforts, leading to a long-standing contract with the US Department of Defense (DOD). ATA renewed its corporate identity and fleet at the turn of the century. While ATA thrived in the leisure charter and government transport business, the airline began a shift towards scheduled flight operations in the mid-1990’s. 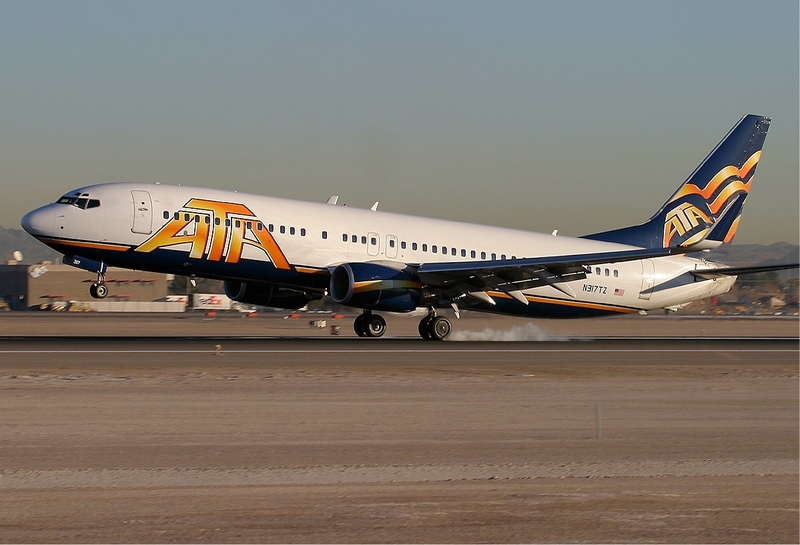 The airline formally rebranded itself as “ATA” with the introduction of a leisure-inspired new livery while launching scheduled service, much of it centered around a growing hub at Chicago-Midway and a smaller scale hub in Indianapolis. By the late ’90’s ATA operated approximately 100 daily flights from MDW as well scheduled services to Hawaii from the west coast, the Caribbean from Orlando and Ft. Lauderdale and several destinations from Indianapolis. In 2000 the airline revised its image again, placing a large order for Boeing 737-800 and 757-300 aircraft, introducing a new livery and on-board product that included leather seats. These changes were part of an effort by ATA to shed its “vacation airline” image in favor of a low-cost carrier appealing to both business and leisure travelers. The shift towards business travel was readily apparent in the airline’s added service to major business destinations such as LaGuardia, National, Dallas-Ft. Worth and Boston. Like Midway Airlines before it, ATA also introduced ATA Connection, a regional airline operated by Chicago Express to feed passengers from smaller Midwest cities into MDW. ATA also signed as a signatory tenant in the new MDW terminal, obtaining long-term leases for 14 gates at the new facility. Unfortunately the new aircraft order and ever-expanding route map stretched ATA’s finances pretty thin, and like the rest of the airline industry, it was left reeling in the aftermath of the September 11th attacks. The economic downturn that followed took a heavy toll and within a few years ATA was forced to file bankruptcy and sell off assets to stay alive. In 2005 ATA entered an agreement with Southwest Airlines in which it would sell the rights to six MDW gates and stock in the airline in exchange for cash and a code-sharing agreement. ATA dramatically reduced the number of destinations it served, mainly leaving those with which it code-shared with Southwest. 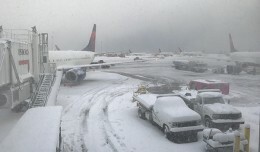 The code-share included slot-controlled airports like LGA and major airports that Southwest did not serve like DFW and San Francisco, as well as Hawaii and a number of cities in Mexico. Over the course of 2005 the airline continued to sell off assets, including its ATA Connection operation, the Ambassadair travel group and eventually surrendered all of its gates at MDW-some to Southwest and the rest to the City of Chicago to be converted into “common use” gates. Despite its partnership with Southwest, and a cash infusion from private equity firm MatlinPatterson, ATA’s financial struggles continued as the airline shed aircraft and routes. The loss of a key DOD contract in 2008 was the final nail in the coffin, with ATA ceasing operations for good in May of that year. The first decade of deregulation had led to a serious shakeup in the US airline industry. Dozens of airlines, many of them low-cost carriers (LCC’s) had started up and either failed or were acquired by other airlines. The mid-’80’s saw a wave of mergers as airlines like American, United, Northwest and Delta strengthened themselves by acquiring smaller airlines or assets of failing carriers. By 1991 two iconic airlines, Eastern and Pan Am had gone out of business. All of this led to opportunities for a new wave of start-up carriers. 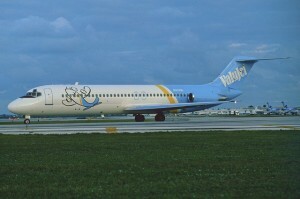 One such airline was ValuJet, which in 1993 started flying from the old Eastern Air Lines concourse in Atlanta with a single DC-9-30 purchased from Delta. As its name implied, ValuJet offered rock bottom fares on flights from an airport dominated by Delta Air Lines. In less than a year the airline had added 15 aircraft while becoming the fastest airline in history to turn a profit. 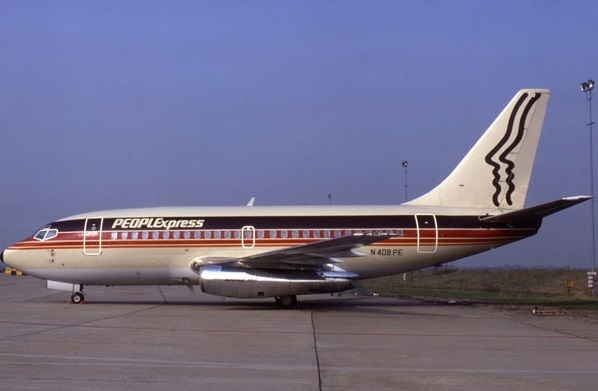 Like PEOPLExpress before it, ValuJet went to great lengths to keep costs low: the airline operated a hodge-podge fleet of used DC-9’s acquired from airlines all over the world. 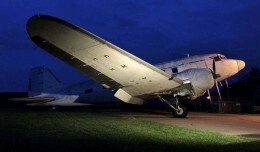 Employees were paid wages below industry standard, and pilots had to pay for their own training. Everything was outsourced, including maintenance. These measures led to rapid growth and profitability early on but ultimately became a detriment to the airline. By 1996, ValuJet found itself on the FAA’s radar for various safety deficiencies. 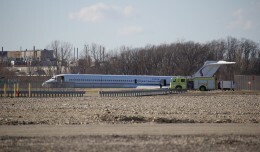 The airline had experienced a growing number of emergency landings, going from 15 in 1994 to 57 over a five-month span in 1996, by far the highest incident rate in the industry. This rash of incidents included ValuJet’s first high-profile accident in which a DC-9 caught fire after an aborted take-off caused by an engine failure. It was around this time that the FAA field office in Atlanta sent a memo to Washington DC asking the agency to suspend the airline’s Part 121 operating certificate. The FAA subsequently required ValuJet to seek its approval before adding any additional aircraft or routes while also launching a thorough review of the airline’s operations. Three months later on May 11, 1996, Flight 592 caught fire shortly after taking off from MIA plunging into the Everglades and killing all onboard. This crash cast a spotlight on ValuJet’s cost cutting practices -and raised public concerns about the practices of other low-fare airlines- and led the FAA to ground the carrier indefinitely. 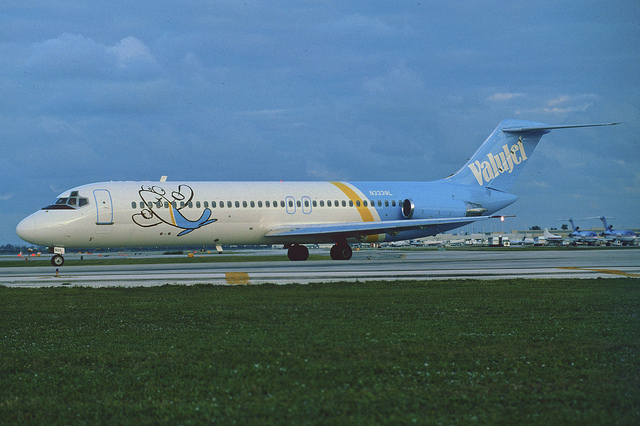 ValuJet was cleared to fly in September of 1996 although at a far smaller size. Public distrust of the airline kept passengers away in droves leading to sharp losses. In July of 1997 ValuJet announced it would merge with Airways Corporation, parent company of small Orlando-based airline AirTran Airways. 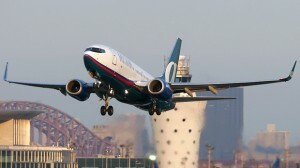 The merged company would assume the AirTran name and move the ValuJet headquarters to Orlando, although the primary hub would remain in Atlanta. The merged airline forged ahead, adding the newly-built 717’s that the former ValuJet had ordered and adding destinations to its route map, as well as creating focus cities in Baltimore and Milwaukee . Despite a very good safety record and consistent profitability, it took years for AirTran to shake it’s history as the media constantly reminded the public of “the airline formerly known as ValuJet” whenever one of its aircraft was involved in any sort of incident. Time heals all wounds as they say, and AirTran developed a nationwide network that also extended into Mexico and the Caribbean. In 2010 Southwest acquired the airline and full integration is expected to be completed later this year, at which point the big “A” will disappear from the skies. Spirit Airlines has come a long way from its humble beginnings as a charter airline flying Convair 580’s to Atlantic City. Spirit began life as Charter One in 1980, operating tour charters to destinations like Las Vegas, the Bahamas and Atlantic City. Ten years later, Charter One began flying scheduled services between Boston and Atlantic City, eventually changes its name to Spirit when the company acquired jet aircraft. Over the course of the ’90’s Spirit grew, adding DC-9 and MD-80 jets to its fleet and flying mainly from Detroit and the Northeast to Myrtle Beach and leisure destinations in Florida and the Caribbean. 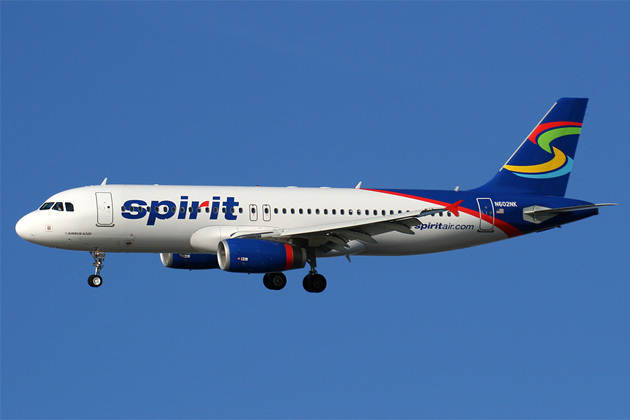 Spirit continued growth in the 2000’s while undertaking a fleet renewal program, replacing its sizable fleet of MD-80’s with new Airbus A320 family aircraft. CEO Ben Baldanza cited years of less than stellar profits as the reason Spirit switched its business model to that of an Ultra Low Cost Carrier (ULCC), similar to Europe’s Ryanair. In 2007 Spirit began charging fees for checked baggage and drinks. Over the following years more fees were added, including charges for seat assignments, printing a boarding pass at the airport, making reservations by phone, and carry-on baggage. While this practice has been the subject of media criticism and general complaints from the flying public, the airline has become one of the most profitable in the US and is continuing to grow. With the recent trend of airline consolidation, Spirit has shifted away from serving secondary airports like Latrobe, PA and Mesa, AZ and begun entering major markets such as LaGuardia, O’Hare and DFW. Spirit typically will operate one to two flights per city pair, offering low fares to stimulate demand. New entrant airlines tried this in the past and were thwarted by major airlines who would add capacity and slash fares on the same routes, temporarily operating at a loss until the new entrant airline gave up and abandoned the city. It appears the legacy carriers have become more focused on overall profitability rather than market share, so they’re willing to allow airlines like Spirit to skim some traffic provided it doesn’t affect their bottom line. Despite what critics say, it’s clear that Spirit has found a very successful niche and is one of the few success stories of the deregulation era. America West’s Phoenix hub grew exponentially over its first decade of operations. Speaking of deregulation success stories, we close our look at plucky upstarts with the story of America West. 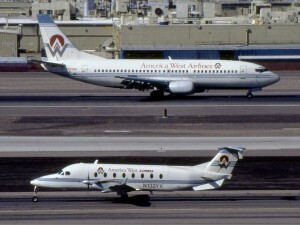 Phoenix-based America West was among the first wave of post-deregulation start-ups, beginning service in 1983 with a fleet of three 737-200 aircraft. The airline utilized an employee cross-utilization scheme and required employees to place 20% of their pay towards stock options, a unique method of funding. 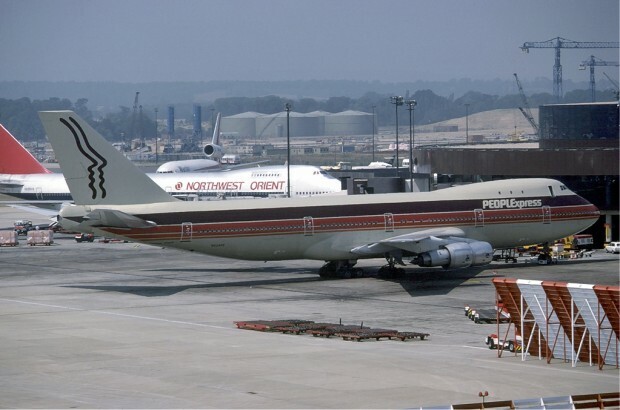 America West had the good fortune of seeing its main competitors in Phoenix-Sky Harbor, TWA and Republic, reduce service to the city which opened up a great deal of demand for the fledgling carrier. The next few years saw explosive growth as the airline added more 737’s and continued adding destinations on the West Coast and later the Midwest and East Coast. These services were provided with new 757’s acquired from Republic after its merger with Northwest. By the late ’80’s America West had outgrown its home in Sky Harbor’s Terminal 3 and had opened a second hub in Las Vegas. Taking advantage of Las Vegas’ nocturnal nature, the airline operated “Nite Flites” to increase aircraft utilization. Going into the ’90’s America West was quickly approaching major airline status, with a move to a new terminal in Phoenix and deliveries of new A320 aircraft originally slated for the new incarnation of Braniff after it had entered bankruptcy. The airline’s leadership decided to make the bold move of acquiring 747-100’s (sound familiar?) to operate to Hawaii and Sydney, Australia. The Sydney route was not approved by the US government, and a subsequent request for service to Tokyo was also denied. America West ultimately was awarded the rights to serve Nagoya instead. The trans-Pacific service was a failure as passenger loads on the giant 747’s were very low. This coupled with the airline’s high debt load and skyrocketing fuel prices caused by the Gulf War drove the airline into Chapter 11 bankruptcy in 1991. The airline reemerged from bankruptcy with new leadership and a new corporate identity. Additional A319 and A320 deliveries replaced the older 737’s in the fleet and America West solidified its route network, adding an East Coast hub in Columbus. The late-’90’s weren’t so kind to the carrier, however, as a poor on-time and flight cancellation record, increased FAA scrutiny into its maintenance practices as well as highly publicized instances of losing track of unaccompanied minors changing planes in Phoenix led to the derisive nickname of “America Worst Airlines.” The fallout from the 9/11 terrorist attacks again led the airline to struggle, although an Air Transport Stabilization Act loan and savvy decision-making on the part of newly-appointed CEO Doug Parker rescued the airline from a second visit to Chapter 11. 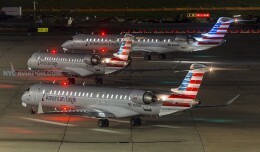 The America West name lives on (for now) with US Airways’ “heritage” planes. America West found stability in the years that followed, resolving the operational problems that plagued the airline in the ’90’s and returning to profitability. In 2005 America West acquired the struggling US Airways, giving the airline presence in the East Coast it had sought for years as well as becoming a major player internationally. 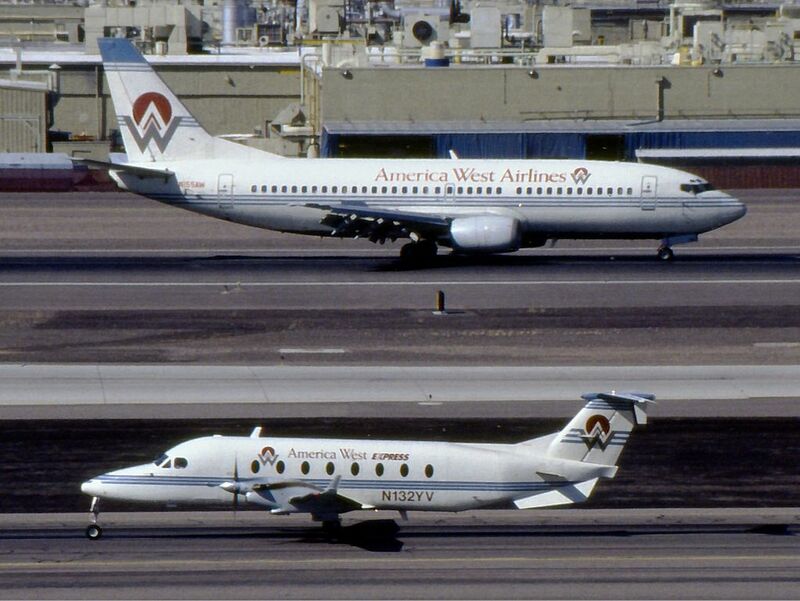 While the company took the US Airways name, America West leadership stayed in place, the merged company headquarters was set in Phoenix and the airline retained its AWE identifier and “Cactus” radio callsign. While the merger has been far from perfect (for example the pilot groups have yet to be unified almost a decade later) US Airways has remained profitable. In 2013 the airline merged yet again, this time with American Airlines, creating the world’s largest airline. The move to the “New American” will likely erase the little bit that’s left of the America West heritage outside of Doug Parker and maybe the two “throwback” A319’s, assuming they’re kept in their heritage colors. While the America West name will eventually become a historical footnote, it is a remarkable story considering the ups and downs the little airline from Phoenix had in its 22 years of existence.